On Saturday, January 9, the world will come together and celebrate the life of iconic MOTÖRHEAD frontman Ian "Lemmy" Kilmister. Family and close friends will observe a service at Forest Lawn Memorial Park in Hollywood, commencing at 3 p.m. PST and ending at 4:30 p.m. With such limited space available on site, MOTÖRHEAD is respectfully asking that fans don't attend the service at the cemetery, but the band wants everyone to be a part of this, so they are setting up a live feed of the service via the Internet on MOTÖRHEAD's official YouTube channel. Says MOTÖRHEAD: "Wherever you are, PLEASE get together and watch the service with fellow Motörheadbangers and friends. GO to your favorite bar, or your favorite club, make sure they have access to an Internet connection and toast along with us. Or simply invite your pals around and celebrate Lemm's life at home. Whatever your venue, and however you can, let's be sure to gather globally on Saturday, January 9 and celebrate the life of our dear friend and irreplaceable icon." For anyone wishing to send flowers, please contact Karen Brando at Flowers By Michael: (310) 276-1003. If you would like to make a charitable donation under Lemmy's name, please go to Ronnie James Dio Stand Up And Shout Cancer Fund. 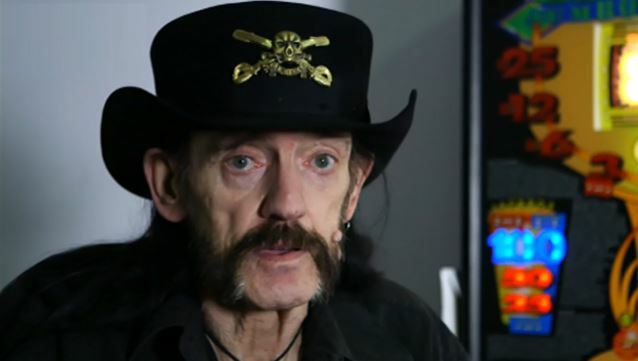 Lemmy, who just celebrated his 70th birthday on Christmas Eve (December 24), learned two days later, on December 26, that he was afflicted with an aggressive form of cancer. He died two days later, on December 28 at his home in Los Angeles.